“Policy makers should remember that the future competitiveness and sustainable development of their societies depends on creating opportunities for young people today,” said Sachiko Yamamoto, ILO Regional Director for Asia and the Pacific. “Young people bring energy, new skills and innovation, but without decent opportunities for work they cannot apply these talents. If discouragement leads to young people not fulfilling their potential then we all loose – individuals, families and societies as a whole”. The above quote resonates with the fears and suspicions of young Japanese workers who find themselves trapped in their country’s “outdated, one-size-fits-all employment system”. Click here for more as reported by the New York Times. Click here for the source of the above quote. See also The downside of being young. If you are a member of the Union of Concerned Scientists, please tell the organisation what matters to you by taking its quick online survey. If you are not yet a member, please sign up today. The Union of Concerned Scientists recently launched a new web quiz to educate us about the sometimes outrageous choices utility companies make about how to power our lives. Click here for the web quiz. There is a clear line between engaging young workers to do light duties and exploiting them. Youngsters who help their parents to manage makeshift stalls at the side of roads or night markets are learning about the real world and in the process acquire skills which might come in handy. The abuse begins when they become the sole breadwinners or carry out “difficult, dangerous and dirty” (3D) jobs to supplement their family incomes. That is the message from union leaders and the head of an employers’ organisation in Peninsular Malaysia. The issue of working youngsters came under the spotlight when Parliament recently passed the Bill of the Children and Young Persons (Employment) (Amendment) Act 2010 which seeks to change the current legislation, 13 years after Malaysia ratified the Minimum Age Convention (C138) in 1997. Malaysia’s Children and Young Persons (Employment) Act 1966 (CYP Act) — which only applies to the states of Peninsular Malaysia — allows children and young persons to do “light work” in family enterprises and licensed public entertainment establishments besides engaging in approved internships and apprenticeships and government-sponsored work. The East Malaysian states of Sabah and Sarawak have similar Acts. Some economic activities performed by children and young persons are good for their development, says A. Navamukundan, National Union of Plantation Workers’ national executive secretary, who speaks from personal knowledge. He fondly recalls his childhood on a rubber estate in Negeri Sembilan during the 1950s. Households on the estate had to grow their own food under the British colonial government’s food control policy, a measure adopted during the Malayan Emergency (1948-1960). As children Navamukundan and his siblings helped their parents to raise cattle and poultry as well as tend the family’s vegetable plot. “Was there some value of work? Yes, everybody in the household contributed to the food supply. The combined cash income that our parents got as plantation workers went towards paying our education. Our parents used their wages to send us to an English school and in those days that was a big deal,” says Navamukundan. Navamukundan and his siblings (“there were 10 of us”) did not feel that their parents had taken advantage of them. In fact, they learned a lot about agriculture and the benefit of staying together. He describes the experience as “family solidarity” and that was “our strength”. And this cooperation was not peculiar to Navamukundan’s family. His neighbours also worked together towards a shared aim. However, this “quality of family solidarity no longer exists in Malaysian society and young people today are not aware of the realities of life” of the time. Malaysian Employers Federation president Shamsuddin Bardan makes a similar point when he refutes the suggestion that child labour exists in Peninsular Malaysia. Young Malaysians who lend a helping hand to their parents are doing just that — assisting the family to manage an entrepreneurial activity for the benefit of everyone. “It is not child labour because the parents are not making use of their children for profit. It is for the family,” Shamsuddin says. The Malaysian Trades Union Congress has no problem with children working but they should not do it at the cost of their education. “Parents should not tell their children to drop out of school to help them in the plantations, for example,” says MTUC secretary general G. Rajasekaran. “By taking them to the plantations they are actually encouraging their children to stop schooling at the age of 10 or 12. Parents should think about their children’s future,” he says. Rajasekaran, Navamukundan and Shamsuddin, are united in their observation that Peninsular Malaysia does not have the kind of child labour situation seen in other countries. Just because there are no reported cases of child labour in Peninsular Malaysia doesn’t mean we are free of it. It may well be that labour inspections have not been thorough. See also When work is child’s play. 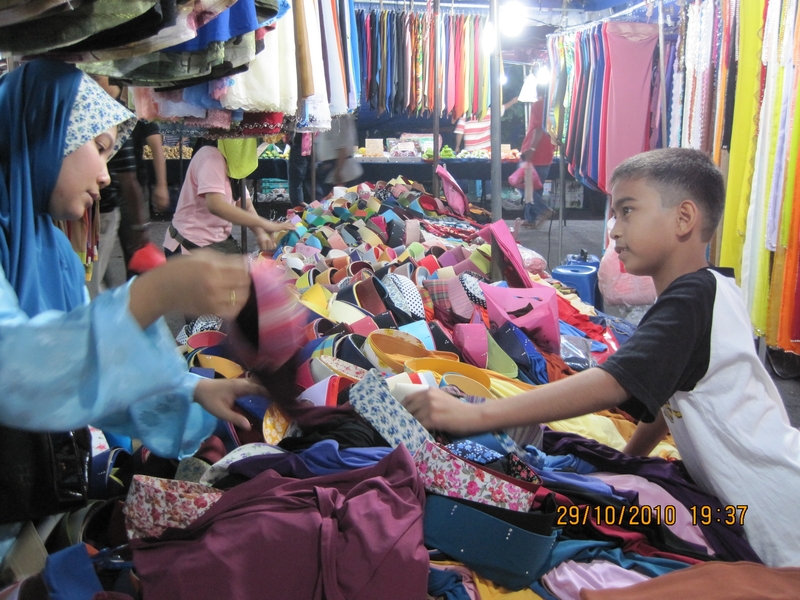 Fayarika Yarman and brother Muhd Faiz enjoy helping with sales at the night market. Malaysia has taken steps to further ensure that children and young persons who enter the job market are safe from abuses. FAEZAH ISMAIL reports on the move to modify the Children and Young Persons (Employment) Act 1966. Student Fayarika Yarman has the makings of a first-rate entrepreneur. She smiles easily and interacts well with customers who visit her father’s stall — which offers colourful scarves, shawls and headgear for the fashion-conscious Muslim women — at the Jelatek night market which is close to the city centre in Kuala Lumpur. At first glance Fayarika, 16, looks like the booth owner. 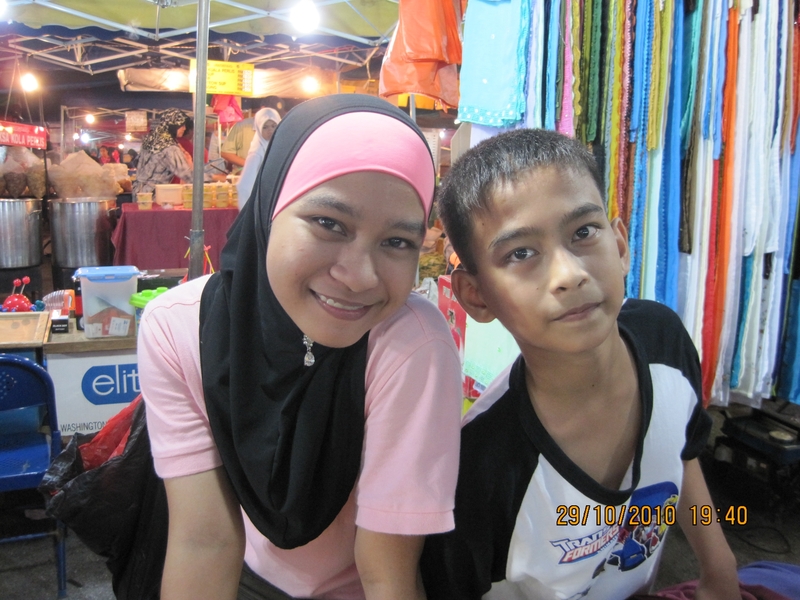 You know she is not when her father returns to the accessories stand with soft drinks for her and younger brother Muhd Faiz, 11, who also attends to customers. Both teenagers love school — Fayarika is in Form Four while Muhd Faiz is in Year 5 — and they only help with sales at the weekend and on school holidays. Under Malaysia’s Children and Young Persons (Employment) Act 1966 (CYP Act) the siblings are not committing an offence. Indeed, the law allows children and young persons to do “light work” in family enterprises and licensed public entertainment establishments besides engaging in approved internships and apprenticeships and government-sponsored work. The CYP Act, which only applies to the states of Peninsular Malaysia, also specifies the number and duration of working days and claims to protect children and young persons from the so-called 3D — “dangerous, difficult and dirty” — jobs. Malaysia has taken steps to further ensure that children and young persons who enter the job market are safe from abuses. Parliament recently passed the Bill of the Children and Young Persons (Employment) (Amendment) Act 2010 which seeks to modify the current legislation. The main aim of the Bill is to raise the legal working age of children from 14 to 15 and that of young persons from 16 to 18 consistent with the Minimum Age Convention, 1973 (C138) which Malaysia ratified in 1997. The changes also include “a new definition of light work” and a prohibition against employing children and young persons to carry out “hazardous work”. “Light work” means “any work performed by a worker” which entails “moderate movement of the arm, leg and trunk (while sitting) and “mostly moderate movement of the arm (while standing)”. The revision attempts to clarify the current description which reads “employment involving light work suitable to his capacity” in any family commercial undertaking. “Hazardous work” — which means any work that has been assessed as such “by a competent authority on safety and health determined by the Minister” — will be out of the question for children and young persons when amendments to the CYP Act take effect. Why amend the CYP Act now, 13 years after Malaysia signed Convention 138? “Our labour laws are the creatures of ILO (International Labour Organisation) conventions,” says a Labour Department official, who requested for anonymity. “The current review does not indicate that child labour has reached an alarming level. It is simply a proactive approach to prevent potential problems and conform with Convention 138,” he adds. He concedes that the ILO would bring the topic up for discussion at every meeting attended by the Minister and senior officials. From the Human Resources Ministry’s point of view the management of foreign workers is more pressing than child labour. “However, there are no reported cases of foreign workers’ children being employed or exploited by employers here,” says the official. Malaysian Trades Union Congress secretary general G. Rajasekaran welcomes the reforms and says that children should be studying instead of working. “Our education is free. Children should be in school, however poor the family,” says Rajasekaran. “We have an issue with the amendments,” says Malaysian Employers Federation executive director Shamsuddin Bardan, who is particularly upset that the legal working age of young persons will be 18 instead of 16. More than 400,000 young Malaysians leave school every year at the age of 17 after taking the Sijil Pelajaran Malaysia (SPM) examination. Some 107,000 SPM school-leavers will join the labour force as unskilled workers such as production hands, shop assistants and cleaners. The rest will continue their education at tertiary institutions or at skills training programmes organised by the government. What does the future hold for those who are not allowed to work when the reforms become law? Shamsuddin fears that they “will become a burden to society” and urges the government “to take care of this group of SPM school-leavers”. Does Malaysia have the infrastructure necessary to deal with this? Shamsuddin suggests mandatory skills training for this cohort but admits that it may be difficult to implement. Would the youngsters be interested in the idea? And would education providers be able to absorb this influx of learners? The potential dilemma identified by Shamsuddin is like the current jobless graduates problem. Government agencies have designed diverse projects which hope to reskill thousands of unemployed graduates. Some 47,000 young workers are registered with the government and they are mostly found in family owned concerns. Rajasekaran reveals that “there are 70,000 working children in Malaysia including those who help their parents after school to manage makeshift stalls at the side of roads and at night markets”. Labour Department officials refute the figure, which Rajasekaran says came from the Human Resources Ministry, and insist that their records of the last 10 years do not show complaints about employers who exploit child workers in Peninsular Malaysia. Not all economic activity performed by children is necessarily bad, says National Union of Plantation Workers national executive secretary A. Navamukundan. Fayarika, who wants to venture into business, and Muhd Faiz, who dreams of being an astronaut, agree. Working at the night market allows them to acquire skills — such as numeracy and enhancing English proficiency when they serve foreigners — which will stand them in good stead when it comes to finding jobs in the future. Muhd Faiz attending to a customer at his father's accessories stand. Floods have threatened or destroyed the livelihoods of millions of people in Pakistan, states the International Labour Office in a recent Press release. The worst ever floods in the history of Pakistan has resulted in widespread destruction. It is now necessary to create productive and labour intensive jobs to lift millions of people out of the poverty that has been aggravated by flood damage. 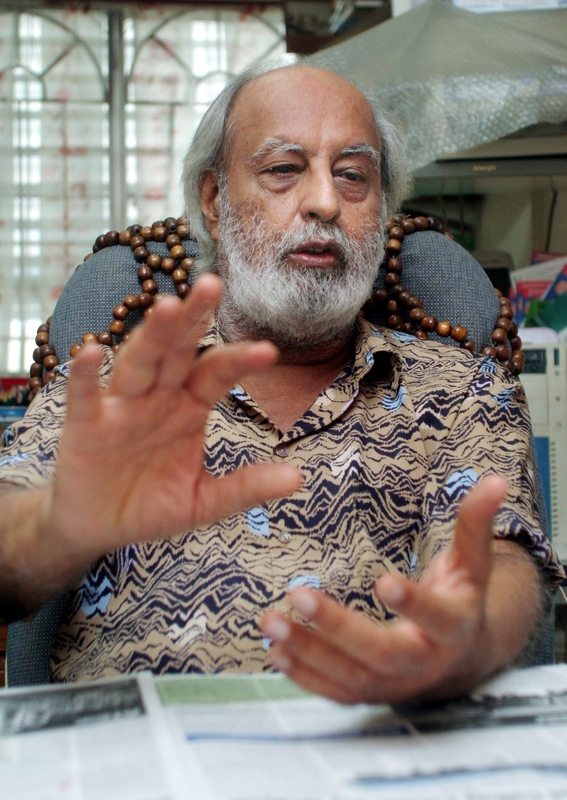 Cetdem will expand the scope of its work by setting up a think tank, says Cetdem chairman Gurmit Singh. The Centre for Environment, Technology and Development, Malaysia (Cetdem) is already 25 years old. It is a major accomplishment for the “independent, non-profit, training, research, consultancy, referral and development organisation”. And one of the first things it wants to do for the next 25 years is to set up a think tank, which will function as a unit within the organisation, to look at sustainable development issues. It will need RM1 million to set up and manage the research outfit for the first four years. Cetdem chairman Gurmit Singh K.S. did not reveal the names of the researchers whom he wants for the think tank, saying that it’s early days. The think tank will study issues related to energy and environment, especially low-carbon economy and development. Please don’t chop the trees down! Pupils in Johor Baru planting a tree at Hutan Bandar (forest in the city) to mark Earth Day yesterday. Picture courtesy of New Straits Times. 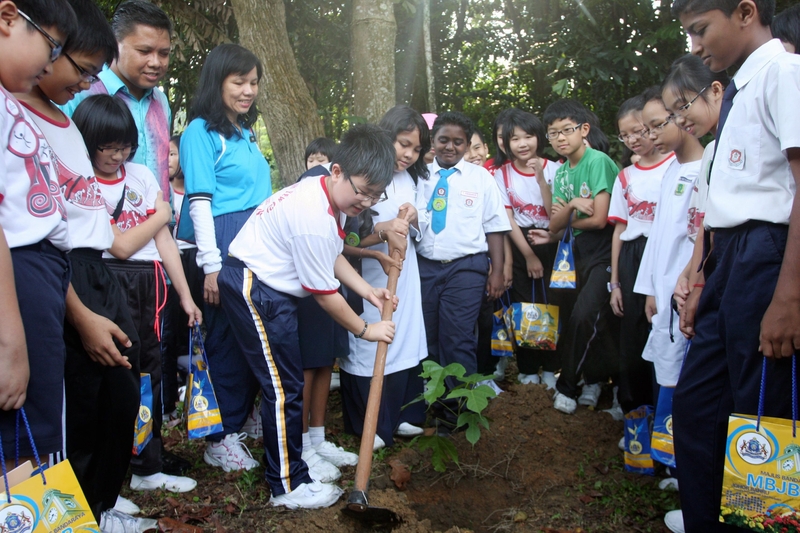 Earth Day 2010 caused a flurry of excitement among tree planting enthusiasts in Malaysia. Many urban areas in the country had organised tree planting activities to honour Earth Day, now into its 40th year. An assortment of idealists had organised the first event on April 22, 1970 to develop an awareness of the environmental crisis. While the tree-planting exercise is a laudable attempt to green Malaysia, I do hope that overzealous city planners will not be quick to get rid of the growing trees sometime in the future. This has happened many times before. Just ask residents of housing estates throughout the country. They simply do not see the rationale of making a great show of planting trees only to find them slashed when city planners decide to use the space for something else. Take a trip to Singapore, city planners, and learn how they do things there. When you do that, perhaps we can have the type of cities that we now dream about. More people are hungry today than were even alive a century ago, states a newly released issues paper that represents the first major output of Worldwatch Institute‘s Nourishing the Planet project. Interestingly, the paper notes much progress in reducing hunger and boosting food security in recent decades. The paper entitled Agricultural Innovation for Food Security and Poverty Reduction in the 21st Century: Issues for Africa and the World is a guidance document for the forthcoming 2011 edition of Worldwatch’s flagship report, State of the World. The paper, authored by project collaborator Ecoagriculture Partners, identifies three challenges that are central to the global conversation on hunger reduction and these need attention. 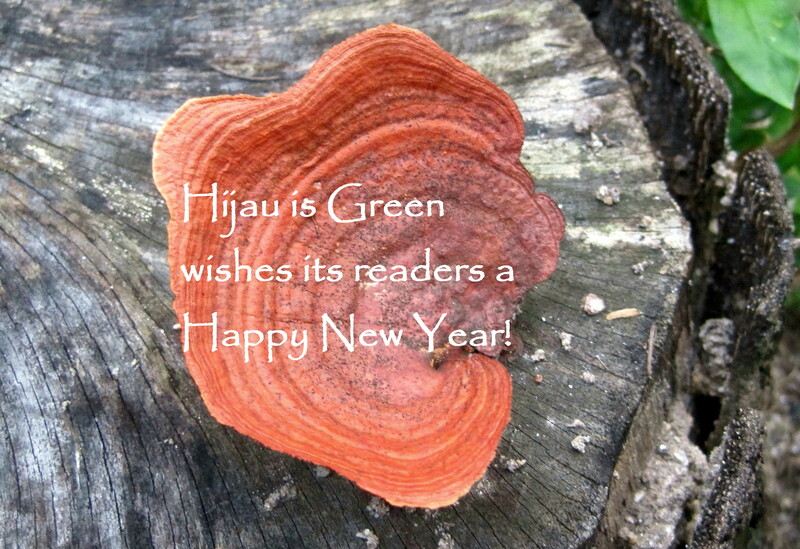 Unify the food security, climate change and ecosystem protection agendas. Rise above conflicting perspectives on the causes and solutions to hunger. Empower farmers and communities to feed themselves. “Historically, there has been a major disconnect between policymakers focused on hunger reduction and the newer voices mobilising around ecosystem conservation and climate mitigation and adaption,” says issues paper co-author Sara Scherr, president and CEO of Ecoagriculture Partners. Technical and institutional innovations to boost smallholder productivity, gain market access and restore natural resources are transforming agriculture in ways that can ensure food security, mitigate climate change and conserve critical ecosystem services including watershed protection, pollination and pest and diseases control. Such innovations are often hidden, however, as entrepreneurial farmers get overlooked by national and international government leaders and funders. “Success” stories, meanwhile, are too often not scaled up (or out) sufficiently to end hunger and food insecurity. “Scaling up” has too often been approached by increasing the number of people involved, and not by mobilising similar successful, smaller-scale initiatives more broadly. “Despite these obstacles, agricultural innovation is taking place in the fields of Uganda, Ghana, Kenya and elsewhere across Africa to overcome the blight of global hunger,” says Nourishing the Planet co-director Danielle Nierenberg. Agricultural Innovation for Food Security and Poverty Reduction in the 21st Century: Issues for Africa and the World.